Most guests spend approximately 4 hours at the center. 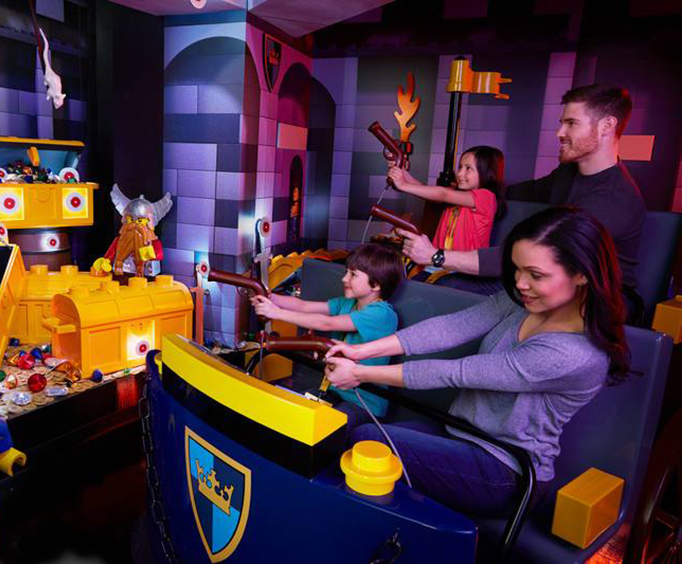 Family fun and adventure awaits at LEGOLAND Discovery Center Arizona. Here, guests will find a multitude of attractions and building stations that will delight and spark the imagination. All ages are sure to enjoy embracing their inner child at one of the best attractions in Arizona. Miniland: This miniature city is packed with gigantic fun! At Miniland, guests will be able to explore this city built with 1.5 million LEGO bricks. Featuring interactive towers, cars, trains, and more, your imagination can run wild. LEGO 4D Cinema: Head to the LEGO 4D Cinema to catch an amazing film. You can see movies like The LEGO Movie 4D A New Adventure alongside special effects including wind, rain, snow, and more. Kingdom Quest: Can you save the princess? On Kingdom Quest, guests will have to fight their way through skeletons and trolls in a classic blast 'em game! Merlin's Apprentice Ride: Soar to new heights in Merlin's potions chamber! Climb aboard the enchanted cart and pedal up, up, and away for some thrilling fun for all ages. LEGO Factory Tour: If you have ever been curious about how LEGOs are created, this is the perfect tour for you. Here, guests can get an inside look into the creation of one of the most popular toys in the world. Creative Workshop: Enjoy one of the creative workshops offered to learn how to build new LEGO creations. It's fun for all ages! 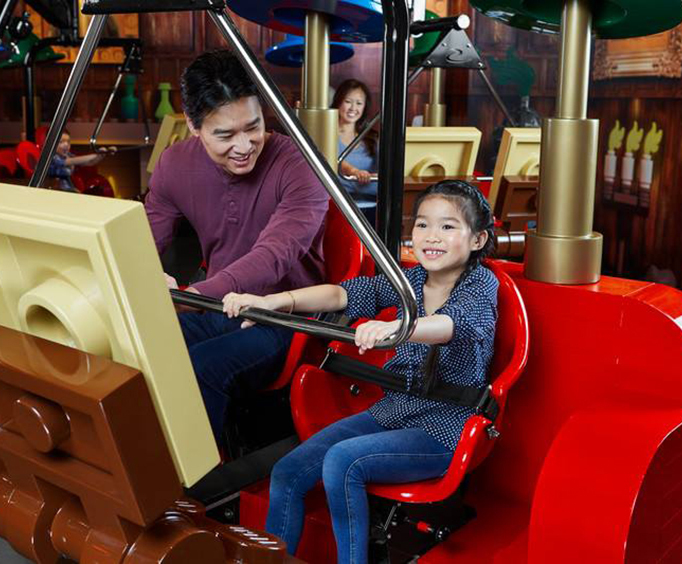 LEGO City Play Zone: The LEGO City Play Zone is specially designed for those rough and tumble kiddos! Featuring climbing walls, slides, jungle gyms and more, those with some pent-up energy can get in some adventure! LEGO Racers: Can you build the fastest LEGO car? Challenge your friends and family to see who can create the speediest, most aerodynamic vehicle for some racing fun! DUPLO Farm: The DUPLO Farm is perfect for those with little hands. This specially designed area features giant blocks to capture the minds of the tiniest LEGO lovers. Let them build to their hearts' content in this fun play zone. Earthquake Tables: Build your tower as high as you can and try to see if you can make something to withstand the shaking Earthquake Tables. Put your architectural skills to the test in this fun challenge. LEGO Friends Heartlake City: Join some of the greatest LEGO friends in the Heartlake City display for some colorful and creative adventures. Then, don't forget to stop at the LEGO store for some souvenirs and LEGO merchandise. And if you get hungry, the LEGO cafe offers some delicious options for lunch and snacks. With so much to see and do, you don't want to pass up the opportunity to visit the LEGO Discovery Center in Tempe, AZ!